As a change of pace from the business and church leadership literature, my latest reading for my doctoral program was to be selected from a short list of three possible books. I selected the memoir of Richard Lischer, who is on the faculty of Duke Divinity school. 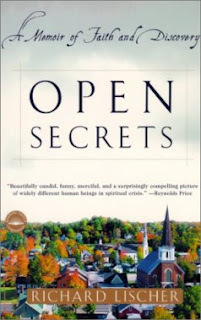 In Open Secrets: A Memoir of Faith and Discovery, Lischer recounts his experiences in his first congregation back in the Watergate era foment of the early 1970s. Though he was a lifelong Lutheran and brimming over with theological training, Lischer had never served a church. He'd never really even had a job to speak of. Full of book-learning and idealism, he found himself dropped into a small church in rural Illinois. It's a warm, richly told story of his three tumultuous years at this congregation, both poignant and humorous. I selected Lischer's book for two primary reasons. Within my own church context, that sense of cultural alienation came as my dying and mostly Anglo church worked towards merger with a Korean-American fellowship. I began my ministry with a small cadre of older Presbyterians who were highly literate and intellectually engaged, and with whom I strongly resonated, despite a generational gap. As efforts towards merger proceeded, the congregation became increasingly second-generation Korean-American. While the new membership was intelligent, vibrant, energetic, and passionate, their frame of reference was radically different. References to history and philosophy had folks nodding off. Using literature...even contemporary popular literature...was just not meaningful to a congregation that was functionally and self-admittedly post-literate. That was magnified by the different frame of reference that comes from being the children of immigrants. It's challenging being the "leader" of a church that has radically different expectations of church life. Second, Lischer's congregation was what might be called a "family congregation" from within the Alban Institute typology (http://www.alban.org/raisingtheroof/changingSize.asp). Most members of the church were somehow related, and as is the case in many small rural congregations, most informal leadership rested in the hands of a patriarch and matriarch. Connections at New Cana were lifelong, intimate, and bore all the hallmarks of extended family, for good and for ill. My current congregation, though young, suburban, and primarily Asian-American, is structured in much the same way. Though not biologically so, it is functionally a family, a single cell where most core members grew up together as part of the same tightly-knit Korean youth group. In the place of a matriarch, there is an unni/noona ("aunt" figure), and the in place of a patriarch, an oppa/hyung ("uncle" figure). In mission studies I've run with the new young adult leadership of the congregation, they've been repeatedly struck by how deeply their collective character reflects the dynamics of that congregational size. In my experiences as the formal "leader" of the community, I've similarly been reminded of what formal "leadership" typically looks like in a family church context. Weakness - Inexperience: Even though Lischer had a significant array of degrees, a good heart, and what seemed like a lifetime of academic training, he really struggled with operationalizing some of the basic mechanics of congregational/spiritual leadership. His initial awkwardness in negotiating the demands of pastoral life often seemed comical in retrospect (particularly the "oops no bread for hospital communion" story on pp. 56-58), but it was likely not so much so while it was occurring. 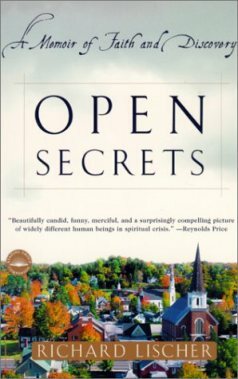 By repeatedly speaking from that foundation, and by taking on the role that reflected the expectations of the community, Lischer developed bonds within the church that slowly moved him from being viewed as a questionable outsider to being viewed as part of the fabric of congregational life. That became evident in a disagreement with the patriarch of the church, as during a fierce argument the patriarch declared, "As far as I'm concerned-I mean me, personal-I guess it don't matter...but you are a part of this church." (pp. 100-101) For all of his difference, at that point, Lischer had been included in. Yes, there was an argument. But it was a family argument, drawing it's intensity from a deep desire for connection.